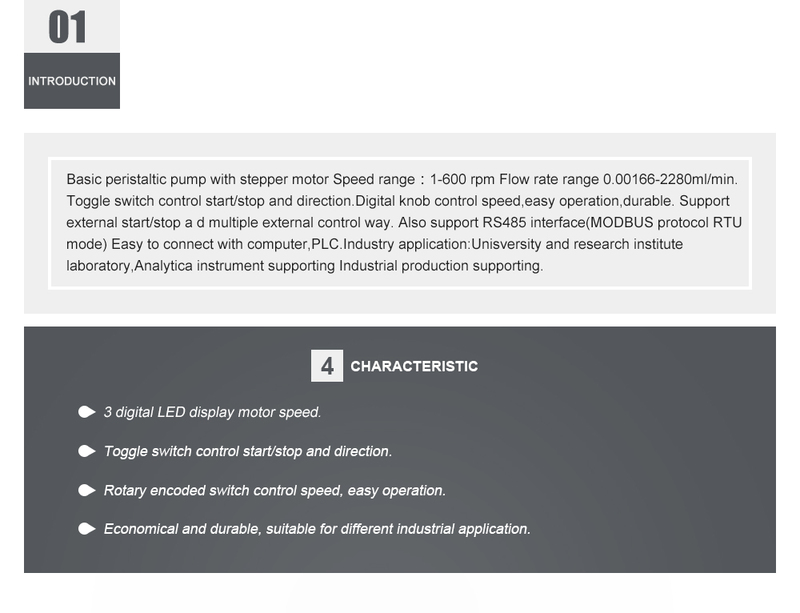 Toggle switch control start/stop and direction.Digital knob control speed,easy operation,durable. Support external start/stop a d multiple external control way. 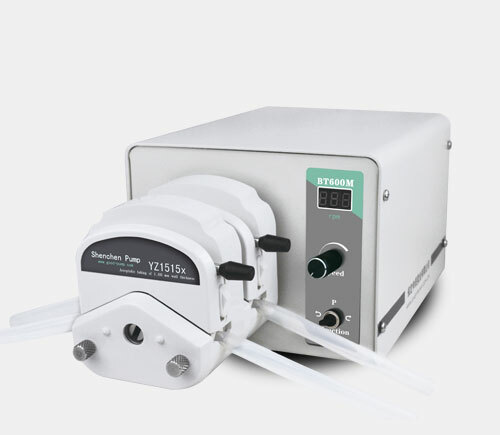 Basic peristaltic pump with stepper motor Speed range：1-600 rpm Flow rate range 0.00166-2280 ml/min.